This winner of the IACP Cookbook Award contains all the stateside favourites from corn muffins and Caesar salad to waffles. 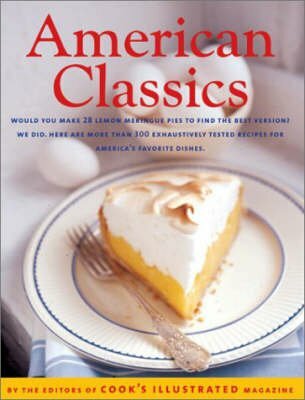 American Classics features more than 300 recipes from favourite regional dishes such as Boston baked beans, New York Cheesecake, Chicago deepdish pizza and New Orleans' legendary red beans and rice. There are chapters on soups and stews, salads, vegetables, meat, poultry, fish and shellfish, breads, sandwiches, breakfasts, cookies and brownies and puddings.